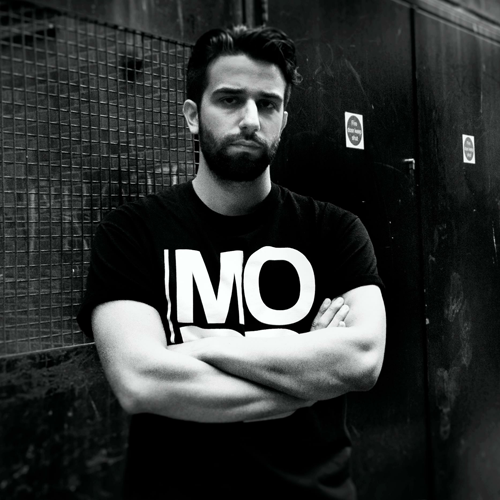 Endlec from Thessaloniki, Greece is a DJ and producer of some of the most brilliant techno music in the scene today. Characterized by his distinctly raw, dirty and pounding rhythmic violence that provides absolutely no compromise, this artist who’s completely addicted to the techno movement holds nothing back and is a true force to be reckoned with. As a child he went on long drives in his dad’s car, most of the time not even talking, just listening to music, enjoying the sound track of the ride. This experience of solely listening to the music gave him the desire to understand the fundamentals of it. Later in life he discovered the futuristic musical manifestos that Underground Resistance were transmitting from inside the heart of Detroit. This irrevocably shaped his musical future. Since then techno has become his master, he’s nothing but it’s servant, a man devoted to the rhythm. Hugely influenced by Detroit techno, for him a style that’s deeply connected with outer space, which is endless, he wanted a unique alias for himself that didn’t exist and thus nobody could use, separating himself from others, so endless became Endlec. This persona is a deeply subconscious expression of what techno means to him. In constant search of the groove, the funk and his true inner voice, either from creating music, listening and playing something inspirational or being occupied with his love of images through photography and cinema, he’s chosen a path towards perfection of his craft. Endlec likes connecting with his experimental subconscious to bring out the music he has within, allowing him to move quickly onto the next project, not investing too much of his time on just one piece of music. If the track is good he releases it, if not he leaves it behind. After getting his break from Bas Mooy, he’s been releasing music since 2014 on Mord and other labels including Analogue, New York Trax and on our own RIOT Radio Records imprint. This is just the start of what he hopes is a long journey. If along the way he finds himself able to leave behind a work that has at least some meaning, then he’ll say he’s made it.